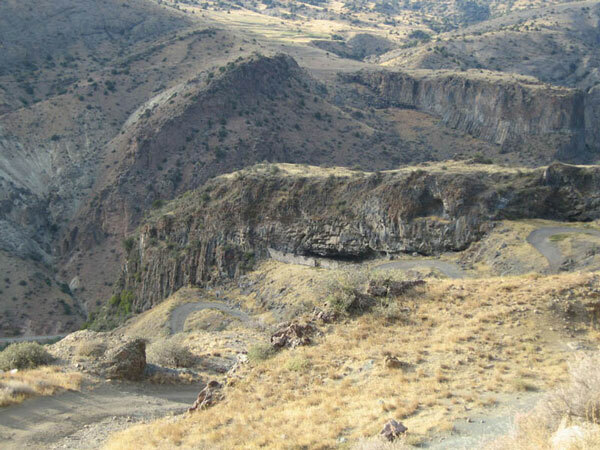 Erebuni state natural reserve was established in 1981. Its goal is protection the wild species of wheat and other cereals in their natural growing places. It is in South-east from Yerevan between villages Musharbyur and Geradir. The altitude above sea level is 1300-1400m. The area is 89 hectares. In the reserve are growing three of four species of wild wheat known to the science: Trititcum urartu, T. beoticum and T. araraticum, which have large intraspecific diversity. Besides the wild wheat in the reserve are growing the wild species closely related to some cultivated cereals rye and barley. The flora of the Erebuni state reserve is very rich and variegated. It includes about 300 species of higher flowering plants, which is more than 9% of the Armenian flora. The 20 species are included into the Red Book of Armenia. The reserve is a rich barn of natural resources. More than 60 species can be used in the different branches of national economy (as food, medicine, decorative, feed and etc. ).